Regular readers have undoubtedly noticed we try to follow a set schedule for some of our articles. The Rewind pieces are always published on Monday, while we save the Rust in Peace articles for Friday; the best for last, as the old saying goes. This week’s Rust in Peace is the first in a series that will continue over the next few weeks. 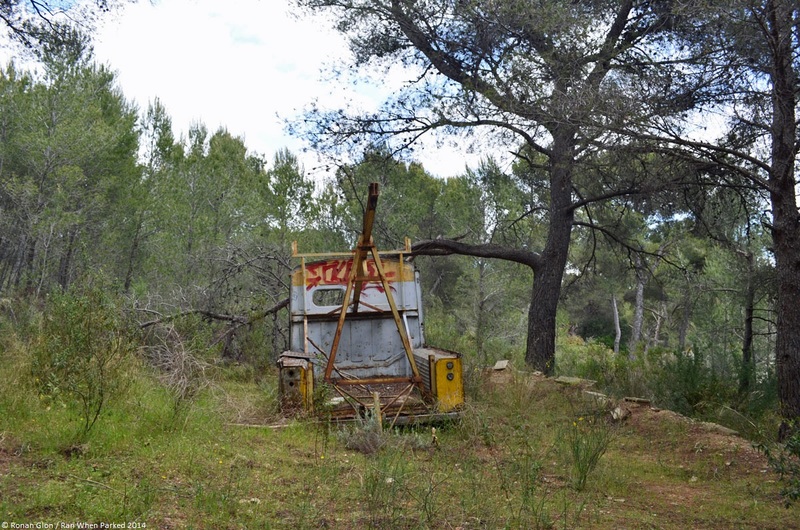 It covers cars and vans hiding in an abandoned campground located on the outskirts of Marseille, France. All of these cars were stolen, stripped and hidden out of sight. The ones that we’ll showcase were all built in either the 1950s or the 1960s, but the odd part is that there are also a handful of more modern cars like a Peugeot 306 and at least two first-generation Renault Clios. The place looks like a stolen car depot passed down from father to son. We’ll feature the cars in the order that we photographed them in: Walking from north to south through the vast, wooded plot of land. The campground hasn’t been used in decades and it is littered with car parts as well as miscellaneous scrap metal, construction debris and so forth. The only indication that this was once a place where families went on vacation are portable plastic toilets. The first car we’re looking at is a Citroën H van that was converted into a tow truck. There is no way to tell when it was built or when it was last registered because the license plates are long gone but we’d guess it hasn’t moved since at least the 1980s. Stickers on the cab indicate the truck belonged to a local junkyard that shut down years ago. The H was likely worn out it showed up to the campground and time has not been kind to it. It is missing all mechanical components, both doors, all of the glass and all interior parts. The tow components are mostly accounted for, which is odd considering they’re probably a lot more sought-after than doors or seats.